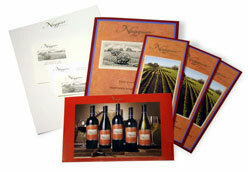 "For over a dozen years, Auburn Printers has supplied KVMR's needs for letterhead, envelopes, business cards, and a lot more. Their craftsmanship and service are simply the best we have found!" "Now that we have expanded our business to four locations, we need a printer who can respond to any project we need printed. Not only do they display craftsmanship in their print quality, they are always there with a solution to help our business grow. I would recommend APi-marketing to any business who needs quality marketing tools to help their business prosper." 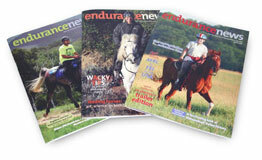 "The calendars arrived yesterday, and they look fantastic. You did a great job on making those wonderful photos look stunning! Thanks again for a great job"
"We are so impressed with Auburn Printers. Not only do they go out of their way to be ahead of deadlines, the quality has always been A1. 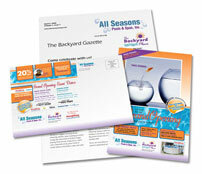 If you need top quality printing and need it fast, go to APi-marketing!" 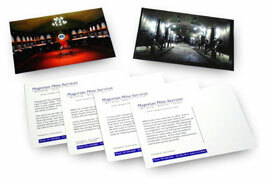 "Auburn Printers has done some spectacular work for Magorian Mine Services. They aim to please and get our jobs to us on time!" 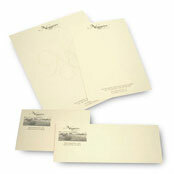 "We are so impressed with Auburn Printers. Not only do they go out of their way to be ahead of deadlines, the quality has always been A1. 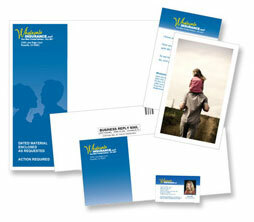 If you need top quality printing and need it fast, go to Auburn Printers!" "I have worked with Brad and Merrill at Auburn Printers & Integrated Marketing for several years. I have found the quality of their work to be the best in the industry, and I appreciate the fact that they support community events such as the Auburn Air Fair, in addition to many other community causes. They are great business people and community leaders." "The staff at Auburn Printers & Integrated Marketing always goes the extra mile to make our printing jobs - and our organization - look their very best. 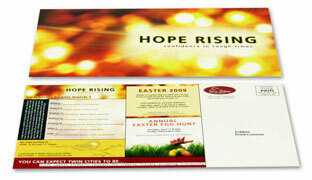 Each job they print for us is professionally handled, from the front desk to prepress to printing and delivery. We consider them a big part of our team!" 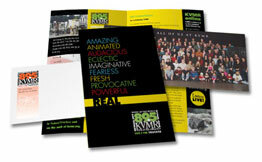 "We've been in business since 1972 and worked with many printers through the years. Auburn Printers is by far the best. The quality of their work is excellent-far better than the "cheap" online printers we'd been using previously. I would highly recommend Auburn Printers to any other organization looking for high quality and affordable prices. Plus, their people are amazing to work with; their company is very professional; and our projects are always on time. It's great to work with a local business so dedicated to making our experience a great one. Thanks Auburn Printers! You guys rock!" 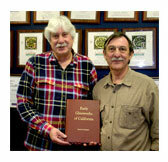 "I wanted to let you know how delighted I am with your recent publication of my book, Early Glassworks of California. When I called Auburn Printers, I found in you a gentleman who carefully listened to the criteria I had for my book. Each step of the publishing process was explained in detail and I was kept abreast of the progress as the book was coming to life. When I saw the completed book I was astounded; it more than met my expectations and I was extremely pleased with the end result. Since distribution of this book, I have received numerous positive comments on its quality of workmanship from both historical institutions as well as individuals. I couldn't be more pleased with your work. Thanks again. It has been a true pleasure doing business with you." I would like to take this moment to thank you for all of the service you have provided Western States Horse Expo over the last nine years. Your service is speedy and complete! The quality is beyond compare and we love working with your staff. Every year we spring pretty hefty projects on you just days before our event and you rise to the occasion EVERY time. We truly do appreciate everyone at Auburn Printers & Integrated Marketing; it is virtually impossible to find this level of service in any industry. "Printing is not an exact science, although many of us wish it were. Even digital printing requires a high level of knowledge and artisanship in order to make each job a success. Many of my clients need small runs with a quick turnaround, and Auburn Printers always delivers an exceptional product as well as genuinely courteous service." 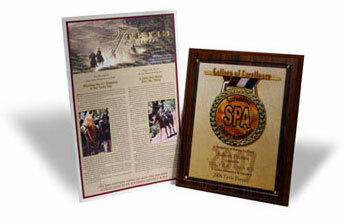 "Our association has been printing our yearly publication, the Tevis Forum with Auburn Printers, since 1998. As we are a group of volunteers we are at the mercy of all who can help with the issue and Auburn Printers always manages to meet our deadlines whether we do or not! We trust them with making all the last minute changes for working documents for our ride, The Tevis Cup as well, which include a participants guide and many forms. We know we can trust Auburn Printers to get the job done right and on time year after year. Brad and Merrill even volunteer to help on ride day." "As a long-time client of Auburn Printers, we really appreciate all the effort they go through to make our print jobs turn out beautifully. They are very accommodating of our deadlines and quality demands (we can be pretty picky! ), and they're patient with us through the details of every job. Their personalized service is above and beyond, making them a truly great company to work with." "I want to thank you and your great staff for the extra effort you spent with my husband Keith Everett's Draftsman brochures to give out at the Auburn Home Show. At first it looked like an easy job, the copy was ready and we had a couple of weeks to work on it. Then we found that our previous printer had closed shop and never returned our logos. 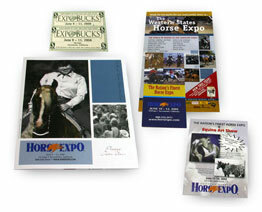 By the time we were able to locate the original work from the graphic artist, it was just days before the home show. 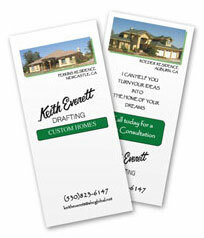 To our delight, your company got Keith's brochures printed in time and they are beautiful! I will recommend you to anyone I know." 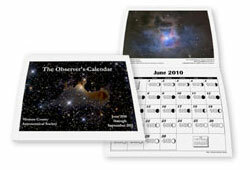 >"The calendars arrived yesterday, and they look fantastic. You did a great job on making those wonderful photos look stunning! "I wanted to let you know how delighted I am with your recent publication of my book, Early Glassworks of California. The response I have received from collegues and historical societies has been beyond my expectation. After spending 3 years on this research project, I had thought my work was done. Then I began looking for a printer. I wanted a company to publish my work into a high quality reference book. After interviewing several printing establishments and looking at desktop and on-line printing options, I was discouraged at the responses I received and the lack of quality of products. When I called Auburn Printers, I found in you a gentleman who carefully listened to the criteria I had for my book. I was encouraged with what I heard and decided to give Auburn Printers a shot. That decision has made all the difference. You, and the rest of the staff were extremely helpful and answered a multitude of questions I had on the types of paper, various types of binding services, and the quality of print. Each step of the publishing process was explained in detail and I was kept abreast of the progress as the book was coming to life. When I saw the completed book I was astounded; it more than met my expectations and I was extremely pleased with the end result. Since distribution of this book, I have received numerous positive comments on its quality of workmanship from both historical institutions as well as individuals. I couldn't be more pleased with your work.